TERRA INCOGNITA : Argentina: Woman Claims Witnessing "Strange Phenomenon" - Alleged UFO? Argentina: Woman Claims Witnessing "Strange Phenomenon" - Alleged UFO? 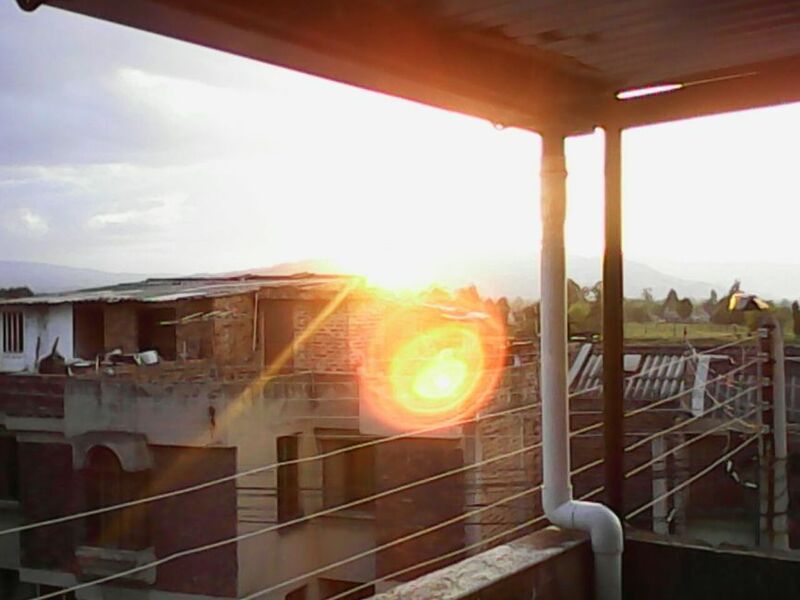 At approximately 5 pm on Sunday, February 4, a woman who chose to remain anonymous was on the terrace of her home in the La Pradera de Sogamoso district with her children when she noticed "strange behavior in the sun" in the western section of the city. She says that her surprise grew exponentially as she saw how the sun "increased it size, resembling a huge fireball" that appeared to come toward her. Despite her fear, she chose to take some photos of the phenomenon with her cellphone. The woman told RCN Radio that the fireball was following a trajectory that brought it so close to her that it was possible to see it on the facades of neighboring buildings. Despite the closeness of the apparent tongue of flame, no fire was evident, but an increase in temperature was noted. The uncanny event caused the woman to order her children into the house. Minutes later, unable to resist curiosity, she went outside again to look at the sun, which had returned to its normal appearance. The scene was one of high strangeness, increasing when she decided to share her photographs with close friends. One of them pointed out a spot on one of the pictures which has caused questions about its meaning - a possible unidentified flying object. The image is even more striking when magnified, and the spot gives the impression of being an alleged flying saucer. See for yourselves! Publicado por Terra Incognita en 1:40 p. m.